Publisher: Scholastic, New York, 1997. Mackain, Bonnie. Squarish octavo, softcover, near fine in green pictorial wraps. 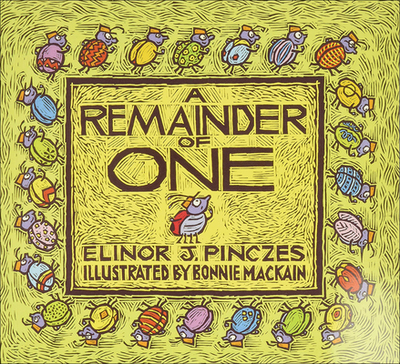 A book for very young on division, where one bug is a "remainder of one"--all in rhymes.